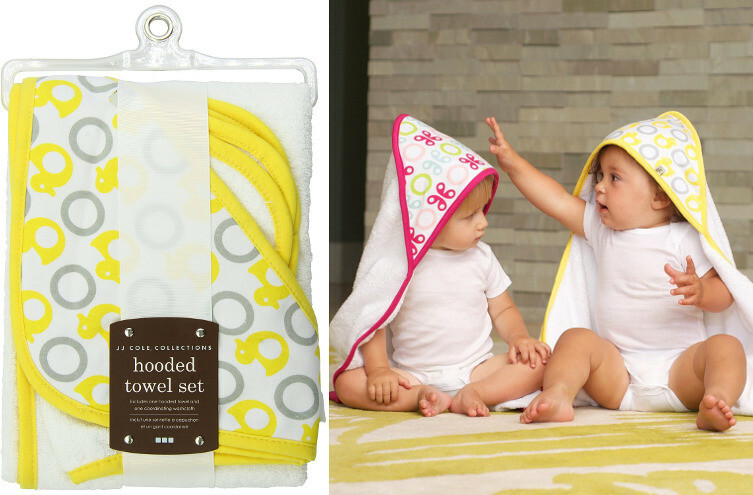 JJ Cole Hooded Towels Set – Aqua Whales make bath time easier for mom and comfortable for baby. These towels are 100% terry cotton and very soft for baby’s sensitive skin. They are also super-absorbent, so the softest touch will dry baby quickly. The sets include one washcloth and one hooded towel. They can be machine washed without using bleach and tumble dried. The hooded towels are a neat square at 30 x 30 inches. They have a variety of designs, including pink butterflies, blue airplanes and yellow ducks as well as aqua whales.